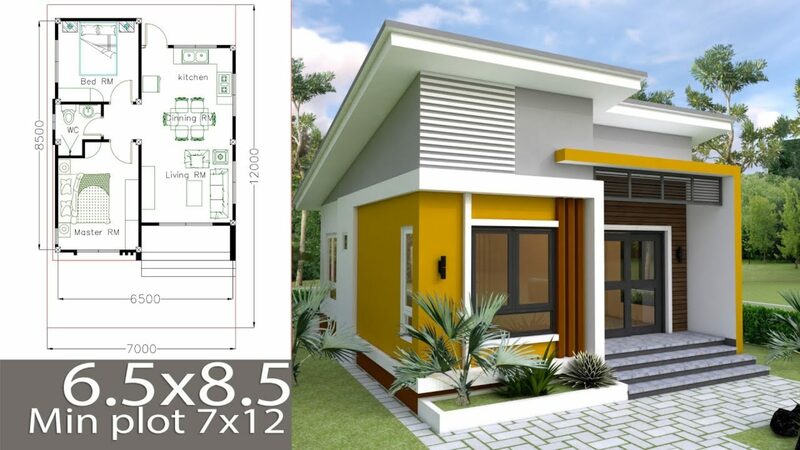 2 Story Modern House Design 9.4x10m has 3 bedrooms. Short ways, maximum flexibility, closeness to family and time to enjoy the common life: Living and working in one’s own home has many advantages. The well thought-out floor plan with its extremely large cut and open plan living area is the ideal center of family life. The two offices on the ground floor, which you enter through the hallway, make concentrated and quiet work possible. 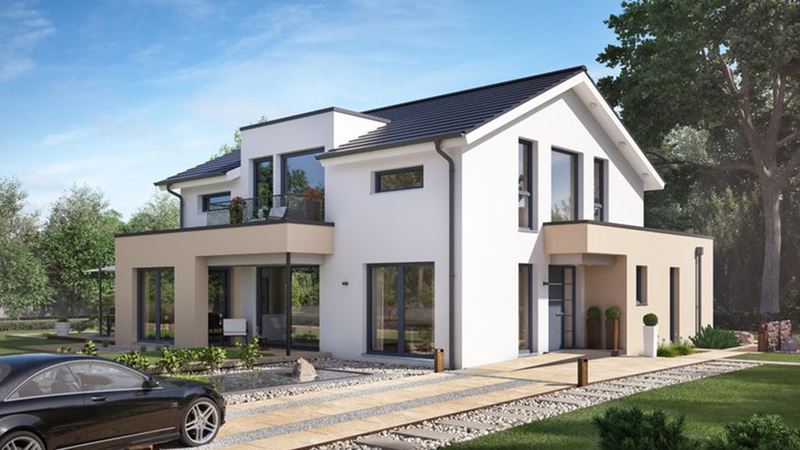 The upper floor, consisting of two bedrooms, two bathrooms and a dressing room, is completed by another room that can be used as an office, sports room or reading room.